# RESIDENCIAL PLOT GURGAON NCR IN SOHNA ROAD. # SITE ON PERMIT ROAD CONECTED. # DLF PHASE -5 GOLF COURSE EXTANTION CONECTED ROAD. # NEAR POWER HOUSE ON PERMIT ROAD. # NEAR BLUE BELS INTERNATIONAL SCHOOL. # NEAR COUNTRY IN & SUITS REDISUN 5STAR HOTEL. # NEAR BY EDUCATION HUB. # 20% PAY AGRIMENT AND 50% PAY REGISTRY AND 1YEAR TIME. 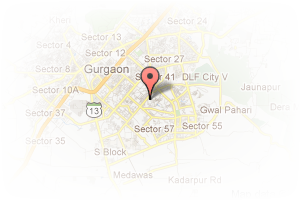 Address: Sohna road, Golf Course Road, Gurgaon, Haryana, India. This Builder Profile page for "DP Developer Pvt Ltd" has been created by PropertyWala.com. 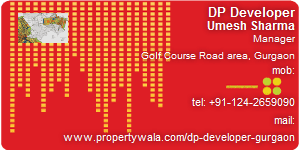 "DP Developer Pvt Ltd" is not endorsed by or affiliated with PropertyWala.com. For questions regarding Builder Profiles on PropertyWala.com please contact us.